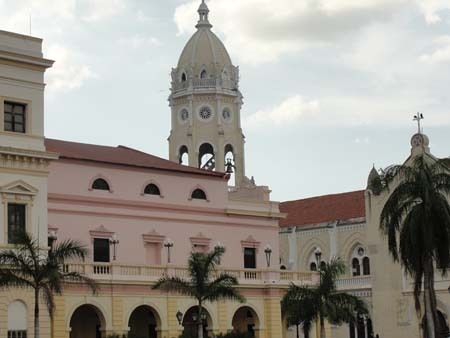 A recent walk through Panama’s Casco Viejo–with its alternately sad and hopeful mix of gutted buildings, slumdog shacks, churches, and newly restored upscale shops and hotels–reminded me of the importance of cultural preservation. While this historic district goes through a transformation that will ultimately preserve the best of it, other cultural legacies have disappeared and those are sad stories, as if cultural practices and language and architecture are endangered species. The world is full of examples, notably of buildings, that get converted to another use in order to preserve them. When I was in college, we converted a local firehouse into a theater and the highlight of the season was the lead actor sliding down the firepole to make a grand entrance in Scappino. I was the stage manager for the production and still have scars on my right hand from the scene in which the pole was transformed into a flagpole with a series of distress flags hooked to a rope. As I worked the mechanism on the top floor above the stage, the hooks snagged my hand when the actor yanked too hard on the rope. Example: The Hardware Store in Charlottesville, VA is a former Depression-era hardware store transformed into a restaurant. The original fittings have been preserved and the ambiance is right out of the 1930’s. The concept was so successful that the restaurant anchors the modernized downtown area of the city. Oh, and my main characters eat there in a thriller I’ve been working on set in Charlottesville. Use the item we want to preserve as a logo or symbol to prompt interest and identification. While this may sound like a test for graphic designers, it is a good way to place the reminder of the thing to be preserved in alot of places, including social media pages, brochures, etc. 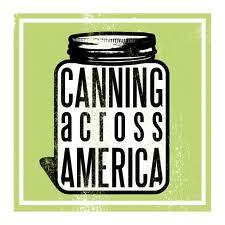 Example: Canning Across America is a clever website dedicated to preserving (sorry, just was too perfect) the art of home canning. The site uses a logo of a canning jar that manages to be edgy and hip even as the site showcases homey pictures of gorgeous jams and veggies and such. Many spaces we want to preserve have narrow streets. Stop putting cars through the area and convert to pedestrian use only to prevent damage to buildings and facilitate tourism so people can stop and linger. Put parking and access to public transportation nearby. This is what I hope is eventually done to Panama’s Casco Viejo, where both streets and sidewalks are narrow. Pedestrians frequently end up walking in the sreet, endangering life and limb. Buildings are so close that drivers can’t see around them as they approach intersections. Driving through can really be a game of chicken. 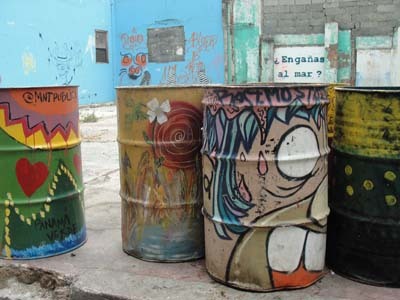 Create a showcase of the best examples of culture in certain categories. There’s the Country Music Hall of Fame, the Baseball Hall of Fame, the Rock and Roll Hall of Fame, Hollywood’s Walk of Fame, the Pro Football Hall of Fame, the Nascar Hall of Fame, the National Air and Space Museum, etc. Obviously, this is a versatile concept. Example: The Library of Congress has a National Recording Registry that functions as a sound-based hall of fame. As recently reported by Huffington Post, they inducted “25 sounds that shaped the American cultural landscape.” How cool is that?! Often, people don’t respond to a concept unless it becomes personal to them. 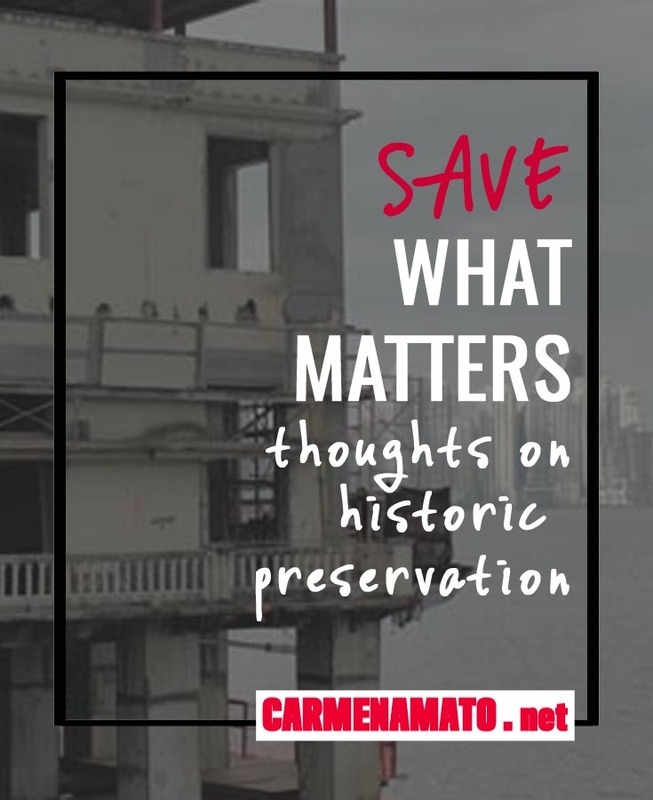 Preservationists have to find a way to tie preservation to something that is personal to the audience in order to build interest and support and even participation. Example: The endlessly creative website yesterday.sg is devoted to preserving Singapore’s cultural heritage. A campaign in January to raise awareness was a call for people to submit wedding photos taken at Singapore’s 64 national monuments. People who sent in wedding photos would qualify to win diamond jewelry from a local store.